Other reports have mentioned the inclusion of highly problematic figures from among Washington’s Neo-Conservative establishment, but President-elect Trump’s national security adviser, retired US Army general, Michael Flynn is perhaps the most symbolic of all in signaling a continuity of agenda regarding US foreign policy. 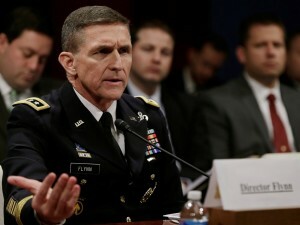 It was also during Flynn’s time at the DIA, August 2012 in fact, that a now notorious memo was circulated (PDF) regarding the anticipated rise of what it called a “Salafist principality” in eastern Syria, and how it could be used as a strategic asset against what it called the “Syrian regime.” The DIA’s anticipated “Salafist principality” would later be named the “Islamic State” (IS) and did indeed seize territory in eastern Syria where it remains dug-in to this day. It is indeed troubling that incoming President-elect Trump has chosen an Obama-era DIA director to serve in a more senior position still, and that this DIA director presided over the organization when it not only knew of IS’ impending arrival on the geopolitical stage, but sought to encourage its arrival and use it as a strategic asset with which to fight the secular government in Damascus. Flynn either didn’t know just how literal US policymakers were in using IS as a strategic asset, or was complicit in the US’ doing so. What’s perhaps more troubling is Flynn’s alleged plans to fight and defeat terrorism. 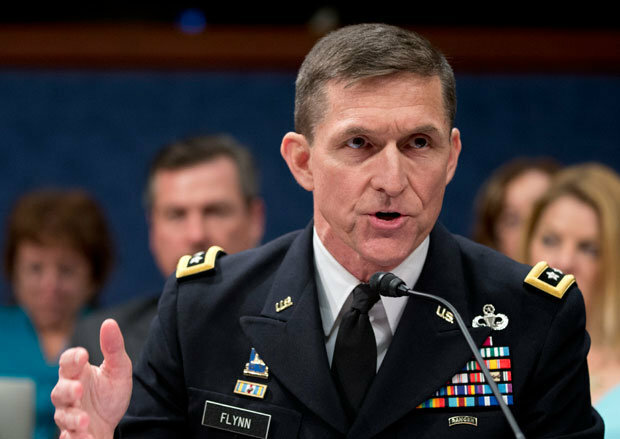 President-elect Donald Trump’s newly appointed national security adviser, retired Lt. Gen. Mike Flynn, has outlined his plan to defeat terrorism extensively in recent months. Flynn has also emphasized the need for looser rules of engagement for US soldiers in the Middle East and for a new intelligence-driven strategy. He wrote about “attacking the enemy alliance” — Russia and Iran — and strengthening the US’ own alliances. Flynn fails to make any mention of state sponsors of terrorism, namely Turkey, Saudi Arabia, and Qatar, which might in fact fall under Flynn’s plans for “strengthening the US’ own alliances.” Indeed, Flynn’s new plan to defeat terrorism, is neither new, nor an actual plan to defeat terrorism. Instead, it is a plan to further perpetuate an artificial clash of civilizations between the West and what is called “radical Islam,” but which is actually ideological indoctrination sponsored by America’s closet Persian Gulf allies as a means of building an almost inexhaustible army of militants deployed against governments the US itself seeks to overthrow and replace. Perhaps the only thing that will change with President-elect Trump’s arrival in the White House is the narrative used to explain why the United States continues to ignore Saudi Arabia and Qatar’s role in perpetuating terrorism, completely side-step the role the US plays in exploiting militant organizations as strategic assets and why the Trump administration fully plans to continue wars designed and initiated under both Bush and Obama’s administrations. With Flynn’s inclusion in a suspiciously familiar-looking administration congealing around Trump, it appears that the American people didn’t truly vote for a new executive in the White House, but rather a new narrative used to sell the same old policy as before, a policy merely emanating from the White House but clearly devised and dictated from well beyond it.